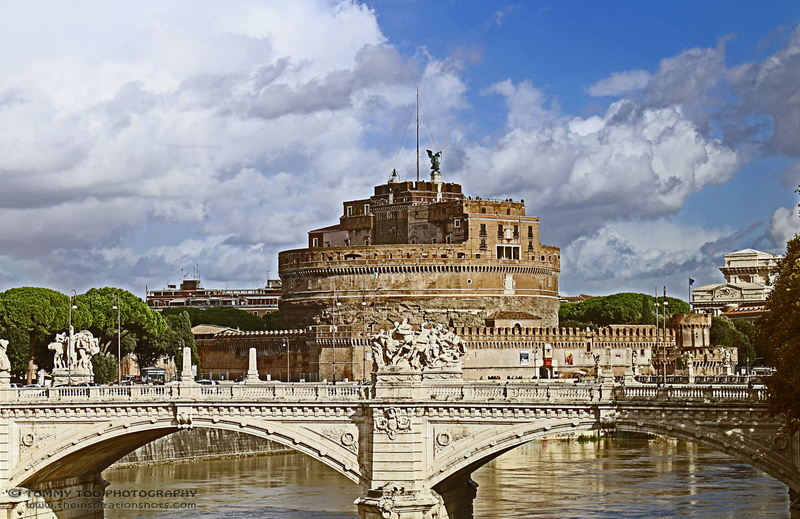 Castel Sant’Angelo, one of the most original monuments in Rome, dates back to the Roman period but has been deeply transformed over the centuries. At present, its charming and complex structure is due mainly to the presence of different architectural strata. This is evidence of the sedimentation of historical periods and thus of the prime role often played by this monument throughout history. The origin of this monument goes far back in time and its original function was completely different to that of today. It was begun in AD 123 as a desire of the emperor Publius Aelius Hadrianus , Hadrian – to erect a monumental tomb destined to contain the emperor’s ashes and those of his successors. It was finished in 139, a year after the emperor’s death, by his successor Antoninus Pious; it was then used up to the year 217 as a sepulchral for the Antonine family. A specific site was chosen for the construction of the monument. Though on the river edge, it was built on very solid ground and in an area previously used as a cemetery. The monument was then linked to the rest of the city by means of a bridge named Alias, one of the emperor’s names.